I love summer. 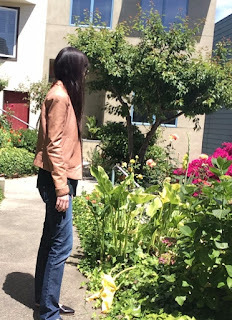 It might not be warm yet in the Bay Area (hence the jacket), but when the sun is out and shining, it feels like we are almost there! Top last worn with the matching pants, here. I've been looking for a comfortable and well-made pair of flats with a little bit of personality, that I can wear on the weekend or to work. Talk about a tall order - I tried about five other flats before I tried the Pinky by Coclico. 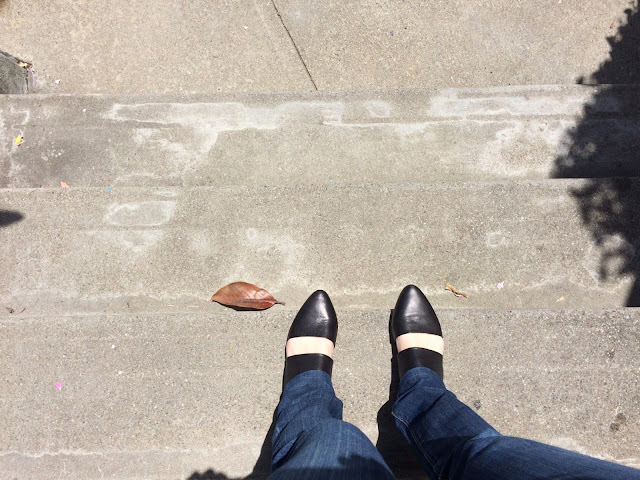 I've sung the brand's praises before, and so far, I like their flats as much as I like their heels. The leaf makes it artsy. Some other Coclico options I have been eyeing are below. Have a good weekend!